What’s better than getting paid for something you promote as an affiliate? The answer… getting paid over and over again for something you promote as an affiliate. Some affiliates don’t even realize this is an option. Others know that it’s an option but haven’t made it a priority to promote recurring income streams. 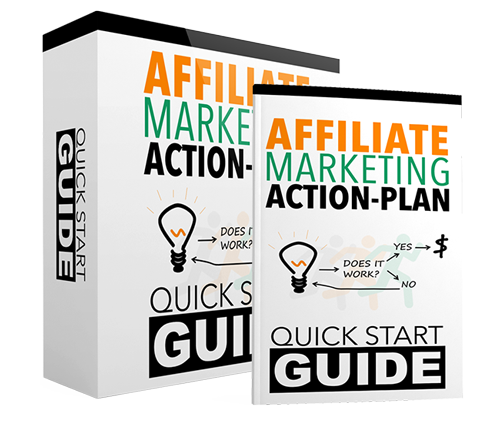 Whether you’re new to promoting recurring income streams as an affiliate or not, there’s never been a time like the present to put it at the forefront of your affiliate marketing business. What Are Recurring Income Streams? Let’s clear up what recurring income streams are so you can get started with this to earn more with less effort as an affiliate. Usually, when you promote a product as an affiliate, you earn your commission one time and that’s it. This is the case with most affiliate promotions. That’s fine—you can earn a nice income promoting products that just pay you once. The trouble is that you have to keep going. You have to keep finding new traffic, building your audience, and promoting new things. This can mean a lot of work for you. Recurring income streams pays you month after month. An example of this is a membership site. You can promote membership sites where members are charged month after month. You’ll earn your commission month after month. To be clear, you’ll direct traffic to a product that charges its members month after month. You’ll use your affiliate link to make sales. You’ll get paid once… and then every single time that buyer is billed. You only have to do the work once and you get paid over and over again. If someone joins a membership site through your link once and stays a member for years, you’ll earn from that person every month. That means you can spend more of your effort finding additional people to promote recurring income streams to. Your income can multiply much more quickly when you have more people buying recurring payment products through your affiliate link. I hope you’re starting to see the power of this. Focus on promoting things that will pay you over and over again and you can earn more with less effort. How Do You Find A Great Recurring Income Stream to Promote? Are you starting to get excited? You’re probably ready to get out there and find great recurring income streams you can promote. How do you find them? It might be as easy as researching which membership sites or recurring payment products are in your niche. Take a look at what others are promoting and which recurring payment sites are most popular. You can hop on board as an affiliate and get a piece of that pie for yourself. You can also go straight to affiliate networks to find great recurring payment products you can promote. JVZoo shows you which products are on recurring billing, for example. Clickbank.com has some great recurring billing products as well. Take a look and see if something appeals to you. Then, you can set up campaigns to promote the options that appeal to you. It’s even better when you can find something that will pay you every month and pay you on upsells and additional products. That’s something my Earn 1K a Day membership site does, as it’s run through Nanacast. You get paid each time someone signs up for Earn 1K a Day, every month they remain a member, and anytime they buy any of my Nanacast listed products. My affiliates have really come to like that set up because they can earn a great, passive, recurring income without having to do as much work as they otherwise would have to do to earn the same amount. Sometimes, it’s easier to convert people to sign up for a low cost affiliate product. The IM Inside Track fits that bill quite nicely. It has a great conversion rate because of its high value and low cost. You’ll get paid every month (or every year, if your buyer selects the annual option) they remain a member. You also get paid on products they buy in The IM Inside Track marketplace. This is a great option for getting started with, and can lead to a really nice passive income for you. What’s Available in Your Niche? Again, check out what’s available in your niche. It’s not just Internet marketing that has recurring programs available. There are fitness sites and subscription sites that offer affiliate programs, for example. It’s worth checking conversion rates, reviews, and levels of happiness with the recurring billing programs you’re planning to promote. You want to make sure you find something in your niche that’s going to be really valuable for your audience. That’s often why people choose to promote Earn 1K a Day and The IM Inside Track, in fact. They know that people tend to be very happy with these sites and stay members for longer than average. That means they get paid. That’s another point. There’s no sense in promoting something that people aren’t going to stay members of. You want them to stay month after month and even year after year. If you find something that has a high retention rate and pays you well, ramp up your promotions. That’s how you turn this into a great income. You don’t have to promote just one thing. You can set up multiple promotions over time. I do urge you to just focus on one to start with. That way, you can give it your attention, get members in there, start earning passively, and then figure out what else you want to promote. You can get recurring affiliate payments going for yourself in several different niches over time. That’s a nice way to differentiate your income. 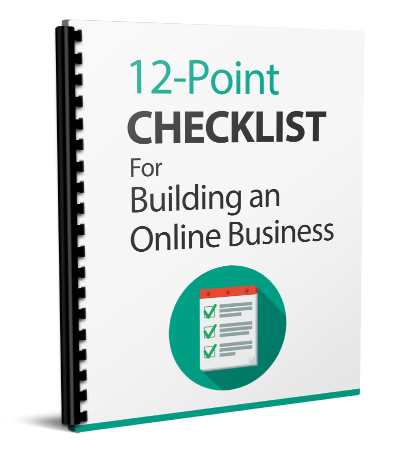 It’s certainly possible to build up to a full time income as an affiliate if you focus on this. Promote the program(s) you choose to your list, social media contacts, through reviews, webinar and Google Hangout recordings, YouTube videos, and more. Build affiliate funnels. Get your reviews and links up on the web. Make sure you’re familiar with what you’re promoting. You want to be seen as a leader of that community or program so people want to join through your affiliate link. It can certainly help if you offer a bonus for people to sign up through your link. This is especially helpful for recurring billing products that are higher in price. You could offer your personal help for the first month, or a freebie, or whatever else you think might entice people to join through your link over others. Start taking notes on the ideas you like here. Find the first recurring income stream you’d like to promote as an affiliate. Get started with this today. Drive traffic to your link. Get people to join month after month, collect money through customers who remain members of the sites you promote, promote additional recurring income streams, and snowball your success.